Few haven’t heard of Need for Speed, the world-famous racing video game series. This has sold millions of copies worldwide and even has a feature film to its name, as it’s clear that Electronic Arts’ video game franchise has quite a following worldwide. And there have been quite a few Need for Speed games released since the series began in the 90’s, but which of these games is the best and which the worst? The series has had quite a few gems, although there’s also the odd bad instalment in there too… So without further ado, here follows a list of the Need for Speed games, ranked from worst to best. 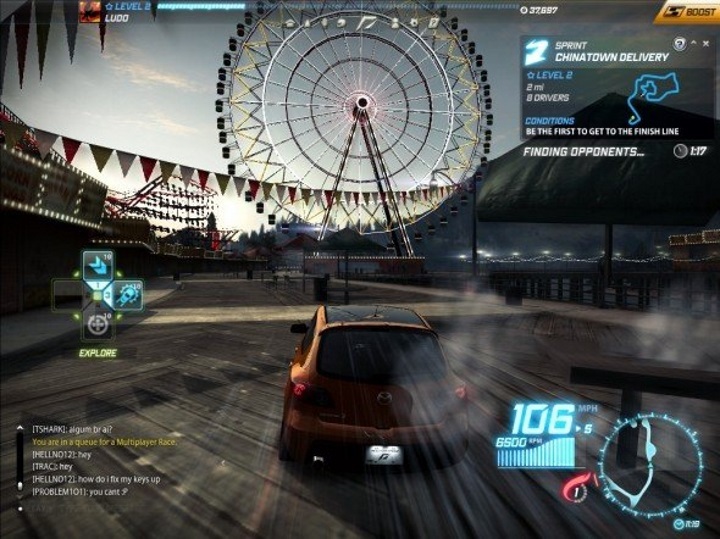 This Need for Speed online multiplayer game surely wasn’t the series’ best. This was the first MMO in the Need for Speed series, but sadly it wasn’t great. Billed as free to play, this actually required you to pay in order to keep playing beyond level 10 (it later went full free to play, which was nice). The fact that none of the game modes were so exciting did not help this Need for Speed game either, plus you could hardly interact with other players beyond inviting them to matches as well. But admittedly, its pursuit mode was exciting, and attempting to evade the cop cars here while taking advantage of power-ups and dealing with other hazards was fun. This would also earn you money for upgrades and new cars, which would sadly take ages to unlock. Plus the other game modes, like the races and exploration mode, were a bit of a bore too. Thankfully you won’t be able to get bored with this game anymore, though, as Need for Speed: World’s servers were shut down back in 2015 for good.